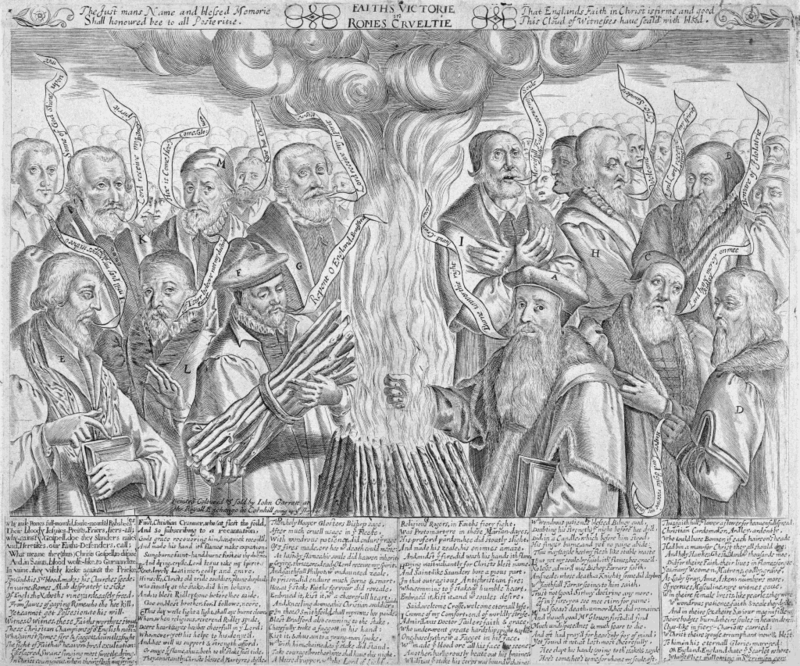 Faiths Victorie in Romes Crueltie (published by Thomas Jenner, c. 1630) is an anti-catholic print showing English Protestant martyrs standing around a fire. 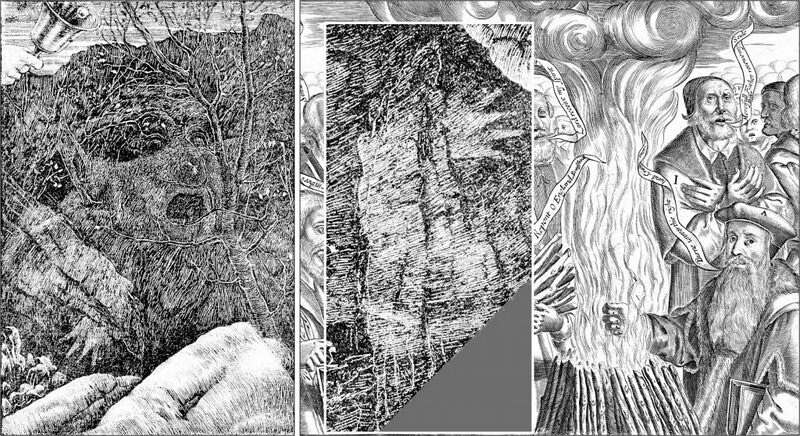 Immediately to the right side of the fire, Thomas Cranmer is depicted burning his hand. behind him, Robert Glover (M).